Boa constrictors are commonly sold in pet stores when they are between 18 and 22 inches long and still fairly young. Adult boas can range from 6 to 14 feet in length; it is considered normal for adults to reach 13 feet by the time they are 25 to 30 years old. Boa constrictors are predators who periodically do injure or kill humans, making them a poor choice of pet for children or households that have children. Boa constrictors are not generally considered intentionally aggressive or vicious pets. Snakes are more or less indifferent to their owners. They are not considered significantly capable of showing the type of affection that dogs and cats are known for. Your pet boa constrictor relies on you to feed him and provide for his comfort, but he will generally not reward you with loyalty because you perform these duties. Boa constrictors kill by wrapping their bodies around prey and constricting their muscles, effectively squeezing the life out of the animal they wish to eat. These snakes are essentially one long muscle. While even young children are generally too large for boa constrictors to eat, they may be at risk of being strangled or otherwise seriously injured if one of these snakes coils around them and constricts. Boa constrictors may constrict during feedings even when the prey is being provided by a human. They may constrict around prey that is far too large to eat, such as a person, simply because that person may smell like prey. Snakes will constrict if they become nervous or frightened, if they feel threatened or if they get otherwise excited by something in the environment. Never let a boa constrictor coil around your body. If you have a large adult snake, it is not a good idea to be alone while feeding or handling him. Large snakes are generally not considered to be good pets for small children. An adult boat constrictor can easily overpower a child. Such a snake may bite if startled or mishandled. While boas are not poisonous, the bite can do damage in its own right. A child, especially a young child, should not be in any situation that could cause risk of being bitten or constricted by a boa constrictor. Children should not handle boa constrictors -- because they are unlikely to be able to remove the snake if it constricts around them. A child who gets wrapped in a constricting boa may be seriously injured or killed. "The baby's dead. Our stupid snake got out in the middle of the night and strangled the baby," Charles Darnell told 911 operators in 2009. In 2011, Darnell and his girlfriend, Jaren Hare, were sentenced to 12 years in prison for the death of Hare's child. 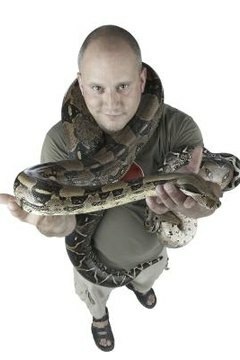 Boa constrictors and Burmese pythons, another large type of constrictor, periodically do kill their owners or friends and family of their owners. The Humane Society of the United States claims 17 people have been killed by constrictors in the United States in between 1978 and 2012. How Often Can I Feed a Red-Tailed Boa?